Guerrilla’s highly anticipated Horizon: Zero Dawn is about to release exclusively on PlayStation 4, as testified by yesterday’s official launch trailer. 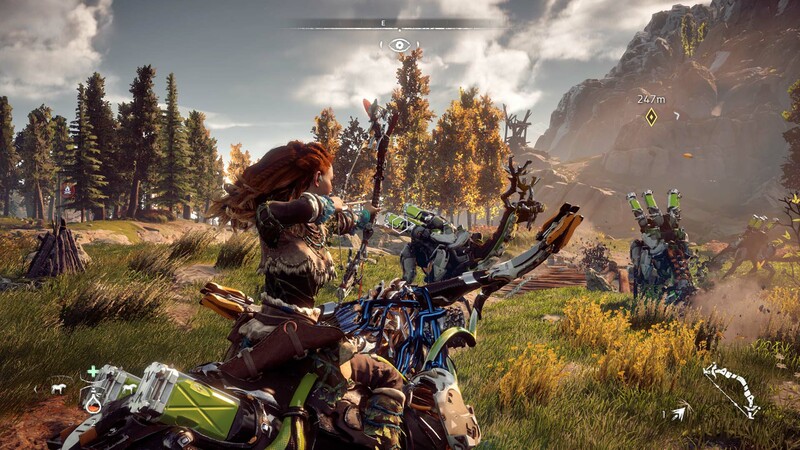 That the game is a technical showcase on Sony’s console (including the enhanced Pro hardware) doesn’t really come as a surprise to those who have been following Guerrilla Games. Their titles always feature great graphics and amazing overall technical feats. However, this time Horizon: Zero Dawn seems to be the complete package. Press reception has been outstanding so far, with an average score of 88 on both Metacritic and OpenCritic. The folks at Guerrilla hired the right people, such as former developers of Bethesda and CD Projekt RED, to make a proper open world RPG experience. For example, Guerrilla’s Senior Producer Joel Eschler talked in an interview published today by VG247 about the particular care put into the game’s side content. We really tried to make these [side quests] more personal by telling individual stories of people who live in the world. We spent a lot of time doing the world building and building up the lore, so we could have these side stories that don’t necessarily impact the big overarching narrative, but still impactful to these individuals. We wanted it to feel like a real, living world. Every fan of roleplaying games knows how much lore, worldbuilding and side content matter for a great RPG, so it’s good to hear that the Dutch studio worked so hard on it. Horizon: Zero Dawn, a brand new IP, is set to be available via retail and digital stores on February 28th in North America, March 1st in Europe and March 2nd in Japan. Do you plan to purchase the game? Let us know below.